Surely the World Bank can do better than this? It was fascinating to hear a presentation from the World Bank yesterday on how large illicit financial flows are in the world economy. You'd have thought the World Bank would have some good feel about this issue. You'd at least have thought the IMF and others, such as the OECD might have contribution to make to this issue. The reality was that the World Bank reviewed four papers offering estimates of these flows. One was the 2000 Oxfam report. The second was Raymond Baker's work in Capitalism's Achilles Heel. 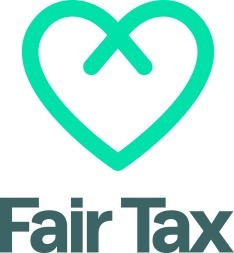 The third was the Tax Justice Network's estimate in the Price of Offshore and the fourth Alex Cobham's work for Christian Aid earlier this year. 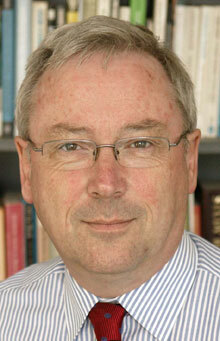 My Tax Justice Network colleagues John Christensen was a principle author of the Oxfam report. I was principal author of the Price of Offshore. Raymond Baker was also at the conference. All four of these authors know each other well. The World Bank sought to discuss the methodologies we'd used. They noted the diversity of estimates. They suggested there were better models that could be developed. And I have to be honest; I think they completely missed the point. First, as Raymond pointed out, of course we know better methodologies are available. But we either do not have access to the data they can secure, and even if we could we would not have the resources to process it. Funding is an issue for us. Second, the fact that our estimates differ is unsurprising. For example, the Price of Offshore measured the loss of taxation resulting from funds held by private individuals in secrecy jurisdictions. Raymond Baker measured illicit financial flows, whilst Christian Aid looks at tax lost on those flows. Of course the results are different in that case. But the fact remains that we all think the problem is very big indeed and no one, anywhere, challenges that. Third, although they could offer ideas on better methodologies they showed no interest in actually doing the work. Why is it, we asked, that the World Bank, IMF, and some of the major governments in the world do not want to estimate these flows or what the resulting tax gap might be, which is a literature I have again had to contribute to in the absence of official estimates? Could it be that influenced by the Bush administration they think that the bigger this number it is the better it might be, but they have not want to advertise its growth? Or is it that they just don't want to be held accountable? Worse though, rather than worry about whether and which of our numbers are right, why aren't these institutions looking at how these flows can be stopped, what the impact of those attempts might be, how and where that recovered money will be recorded, who will benefit from it, and what as a result the impact of the change might be? These are the big issues that should be informing policy. The numbers we have, which people think to be 'good enough' for most purposes make it clear we have an enormous policy issue. Shouldn't these organisations be addressing that policy issue right now? Isn't that what their constituents are demanding? Why aren't they listening? Thus really is a time for change. The Bretton Woods institutions have to respond to that or they really will look irrelevant.